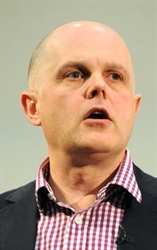 Dealers can use social media channels to differentiate themselves from the competition and to display the culture of their business, social media expert Andrew Lloyd Gordon told AM & AutoTrader’s Digital Marketing Conference 2014. While he says there is a lot of hype about social media, he believes it can be a great business tool and that customers now look for a dealer’s presence on Facebook before they look for a main website. Dealers at the conference were asked through a live poll (using a dedicated smartphone app) whether or not they thought social media helped to sell cars. An overwhelming 74.7%, of the admittedly digitally minded audience, believe it does. Lloyd Gordon said: “Social media channels are important because they let you showcase your business’s culture and, more importantly, that is an area which helps distinguish you from the competition. Lloyd Gordon used Sytner’s Facebook page and Perrys’ YouTube channel as good examples of dealers using social media well. There are also practical reasons to have a decent social media presence. Google search results incorporate social media profiles into their results and having well-represented Facebook, YouTube and Twitter pages can help improve a dealer’s rankings on search results. One area Lloyd Gordon said dealers can push back against is the possibility of customers using social media as a platform to publicly complain about bad service. Lloyd Gordon said: “Dealers can be really fearful that social media will be used by customers as a way of beating them over the head when they have a customer that is upset, or even just a difficult customer. But how should a social media strategy be introduced? In Lloyd Gordon’s view, it must permeate the company and across all job roles, not just be restricted to a specialist. The majority of dealers at the conference (60.2%) said they believed social media is already touching all parts of their business. Dealers at the event were also asked whether they thought there were too many social media channels to maintain – 68.9% said yes. Lloyd Gordon said: “The majority of dealers at the conference are ahead of the curve. It takes substantial planning and thinking to make social media work in your business. “People can get too focused on the technology, but you need to make sure you focus on the people and process aspect of it too. Lloyd Gordon suggested having company guidelines that govern what sort of content and behaviour is acceptable and quarterly meetings with the social media ‘champions’ throughout the business. He believes there also needs to be someone within the dealer group that is not involved with operating social media who can analyse and look at the data side of what is and isn’t working. I think this is very true and a better example for both Facebook and YouTube would be CarlisleMINIs check it out.. Might be worth a story they did a whole car launch on social media alone !! Social Media should no-longer be considered a 'differentiation' ..... you MUST be engaged to have some sort of control of your 'on-line' reputation. Ignore it at your peril. @Nick Acquarola - I agree but I think you've missed the point of the article. As the article states, and I said in my speech, social media can be used to 'differentiate your culture' (which is impossible to replicate). I didn't say that social media should be used to differentiate yourself (as you implied in your comment). I hope that clarifies things?